A unique, relaxed experience. Away from it all, but 5 minutes to so much. 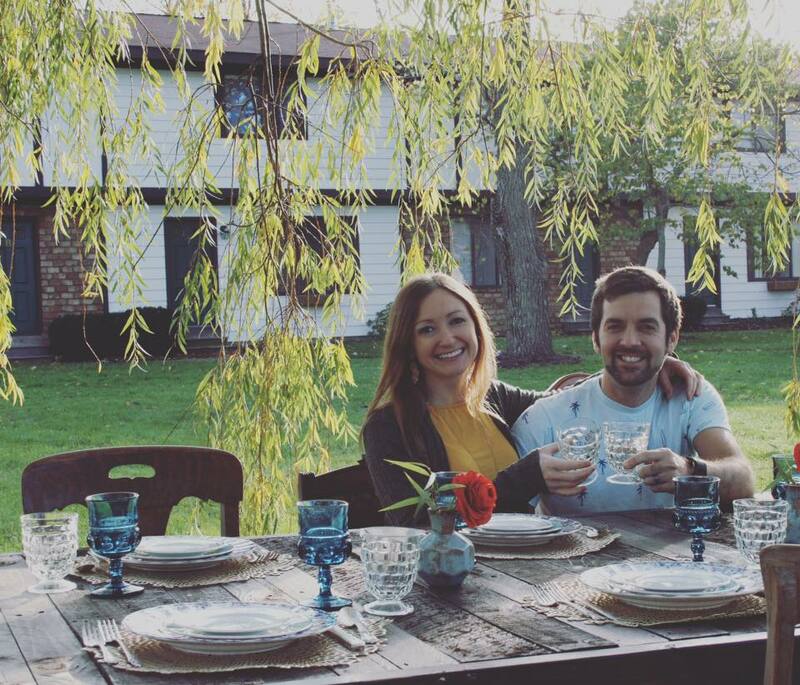 We love traveling to unique places, collecting memories, and hosting people as they explore our artsy, beachy, country neighborhood! ​We're located 5 miles South of Saugatuck in Fennville, MI. Our peaceful setting is only 2 miles from Pier Cove, a beautiful Lake Michigan public beach. 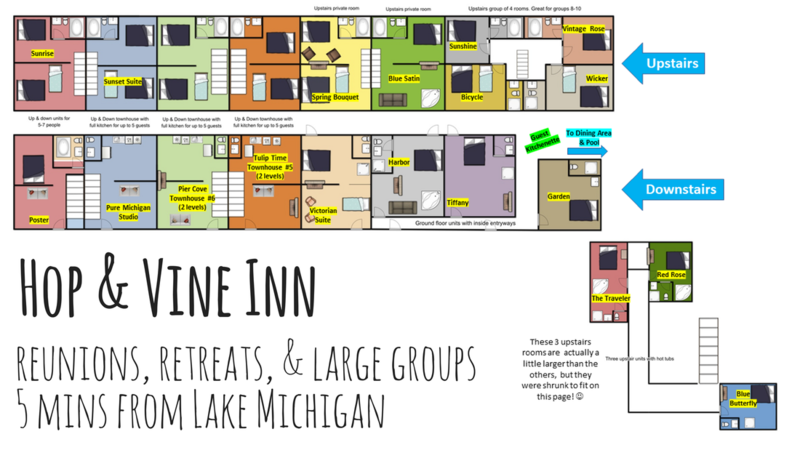 Our 18 unique units (sleeping 2-7 each & 59 total) ensure we have the perfect accommodations for every couple , family, craft retreat, and group (click for more info) to book daily and weekly stays, and we invite everyone with a smile on their face to give us the honor of hosting them. Hi! We're Amber & Dan. Welcome to the Hop & Vine Inn! 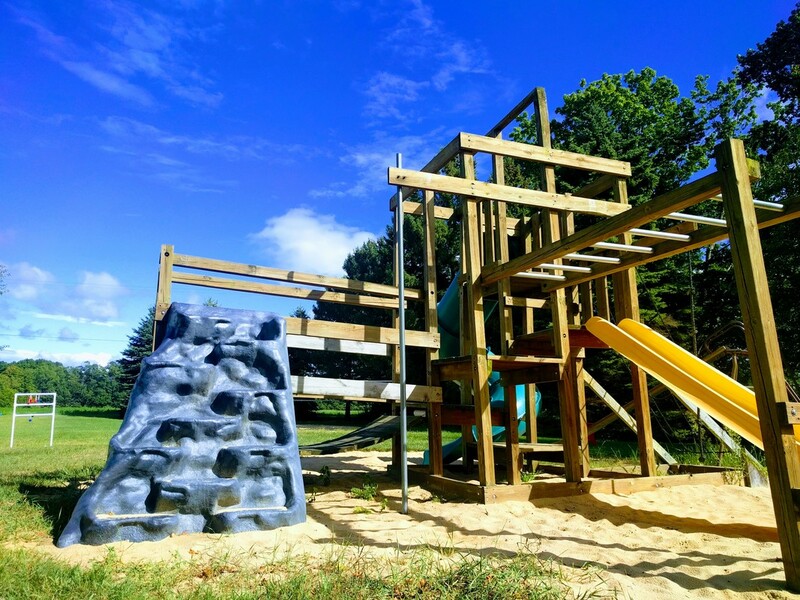 Enjoy the indoor heated pool (the little ones love the 1ft deep kiddie pool), volleyball, play structure, campfire pit, & country backdrop (complete with a barn). Your clean room includes fresh linens & towels and will be ready for you upon arrival (3PM check-in & 11AM check-out). Lots of activities for kids & families! Hot breakfast is served daily in the large guest dining room with fireplace and in the sunny 3-season porch. Romantic Jacuzzi & fireplace suites, standard rooms, family units, & townhouses (complete with kitchens, living rooms, & patios) are all available. Relax by the fire and watch the deer in the field. reunion, retreat, or large group? 18 units with private bathrooms to sleep up to 59 guests. Give us a little info to help us help you plan your event: Occasion, group size, number of rooms, dates, etc. Tag your photos with #HopAndVineInn to be featured on our site! 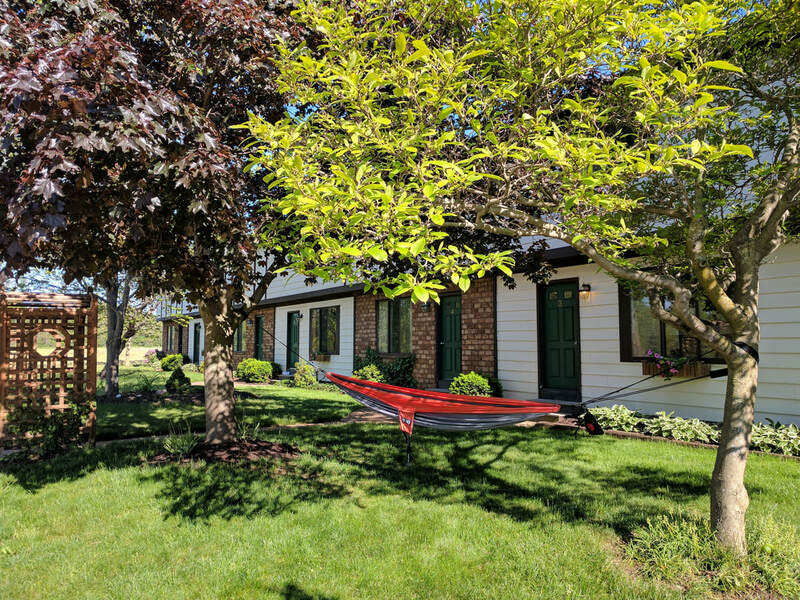 ​Conveniently located off 196, it's quick to get to Saugatuck, Douglas, Fennville, & South Haven for site-seeing, wine/beer/cider tasting, shopping, dining, hiking, swimming, & more!